The Royal Tunbridge Wells ice rink opens for its fifth season. Set in the beautiful splendour of Calverley Grounds’ amphitheatre and bathed in twinkling festive lights, the Royal Tunbridge Wells ice is back, bigger and better than ever. Opening on Friday 20 November 2015 the ice rink will run for seven weeks until Sunday 3 January 2016. Sponsored by Tunbridge Wells Borough Council, the 35ft x 20ft ice rink, with a capacity of up to 250 skaters, will be open seven days a week (closed Christmas Day). The ice rink welcomes skaters of all ages and abilities and is perfect for a family day out, a romantic first date and a festive office party – or just a great fun night out with friends. Community groups are also warmly welcomed. Easily accessible by bus and National Rail, the rink is in the heart of Tunbridge Wells surrounded by an extensive offering of shops, bars and restaurants. For those wishing to watch friends and family enjoying themselves, the spectator’s area is back, adjacent to the rink and offers a range of drinks and food. “When the ice rink opens in Royal Tunbridge Wells it’s a sign that Christmas is coming! 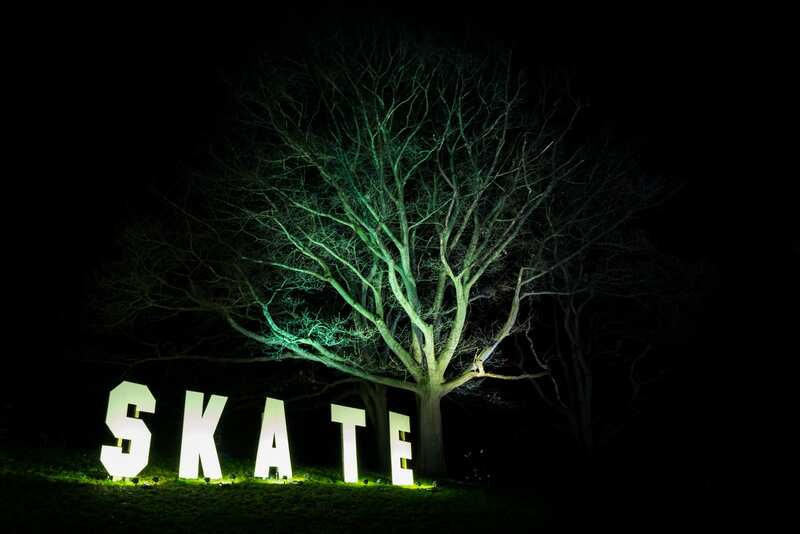 If you haven’t visited the rink in Calverley Grounds you really should, it’s a great thing to do with a truly festive feel. It’s the only real ice, outdoor rink in the area and the setting of the rink in the park is beautiful with wonderful lighting. There are fantastic food and drink choices at the rink or you can make your visit last a bit longer and try out one of the town’s many restaurants or cafes”. Due to popular demand we have added an extra morning parent and toddler session – the ice rink opens at 9.45am each day with two dedicated sessions for under 4’s and their parents, with main skating following every hour from 11am. Advanced booking is recommended at peak times – Thursday and Friday evenings, school holidays and all day Saturday and Sunday. Non motorised wheelchairs are welcome on the ice but must be pre-booked in advance. The cost of one hour’s skating including hire of boots will be from £7 for children and £9.50 for adults. Seal skating aids are also available for hire for children aged 2 – 4 year olds. Tickets are on sale from 1 October can purchase in person at Assembly Hall Theatre Box Office, online at www.tunbridgewellsatchristmas.com and by calling 01892 554645. The onsite ice rink Box Office opens on Friday 20 November. 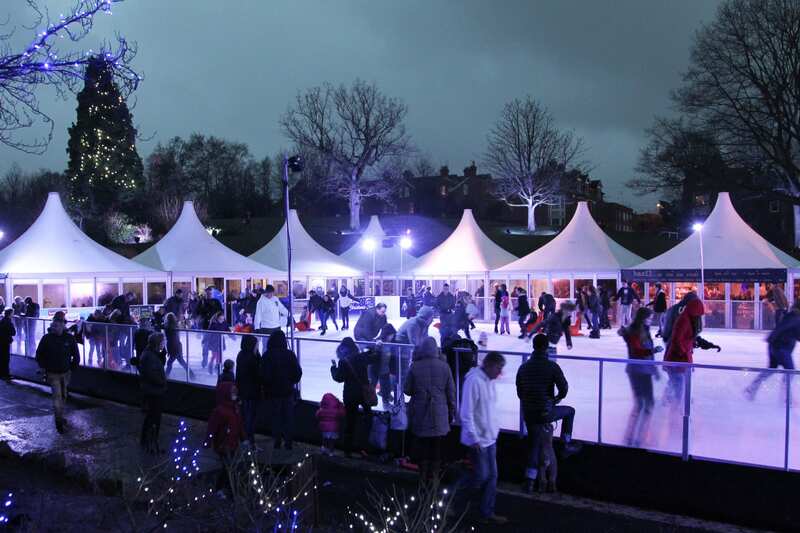 The Tunbridge Wells Borough Council Ice Rink is supported by Kent & Sussex Courier, Index Magazine, Heart and AXA PPP. Press enquiries including registering your interest to the VIP Launch on Friday 20 November or to request images contact Basia Wilson on 01892 554444 e-mail basia.wilson@tunbridgewells.gov.uk. 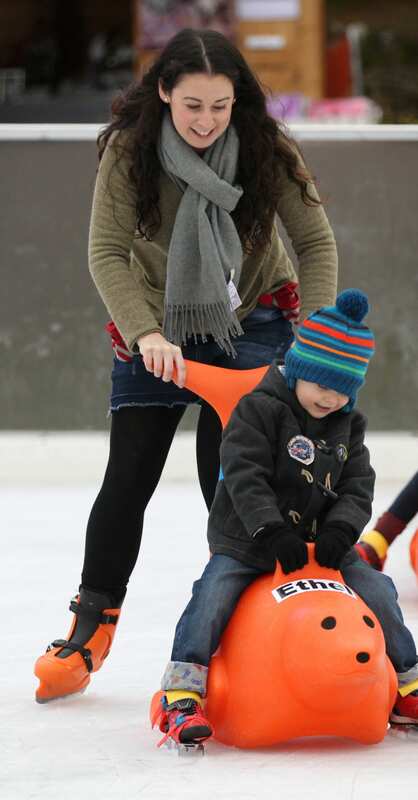 The Tunbridge Wells ice rink is now in its fifth successive year. Tickets can be booked at the ice rink on site box office once the ice rink is open from Fri 20 November. Parking: Pay and Display car parks are situated next to Calverley Grounds. Parking is also available above Morrisons located next to Tunbridge Wells Station as well as in the multi-storey car park by the Assembly Hall Theatre in Crescent Road.